Are you searching for a co-founder, mentor or coach? Are you in the process of recruiting a team around your social enterprise or project? Find people with the shared values which also are in line with the enterprise. Recruit the DOERS: Creative thinkers, strategic thinkers and critical thinkers. Love the process, observe keenly, active listening and decision making skills. Be prepared, Be persistent and Be patient. Clear documentation; Define team role and explain objective, mission and vision (Why, What, Who, When & How). Define your decision making and planning process. Embrace both success and failure. 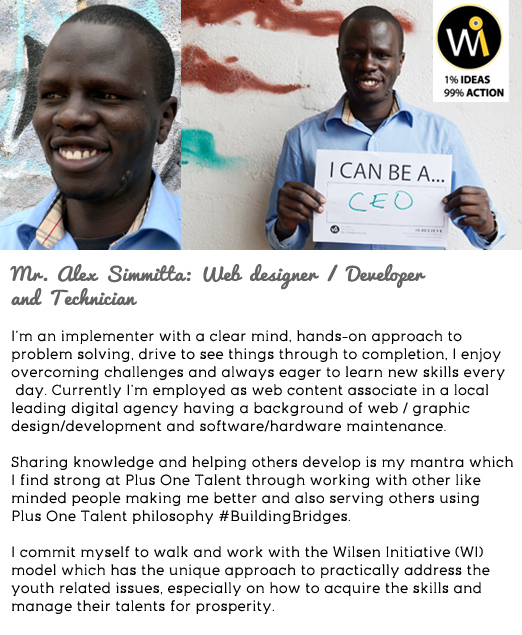 In a special way I want to thank Patrick Mukabi, Washikadau production, Linnet Wahome, Danstan Ochieng, Penninah Owidhi, Lilian Were and Alex Simmitta for working and walking together with me in implementing the Plus One Talent Forum under the umbrella of Wilsen Initiative (WI). 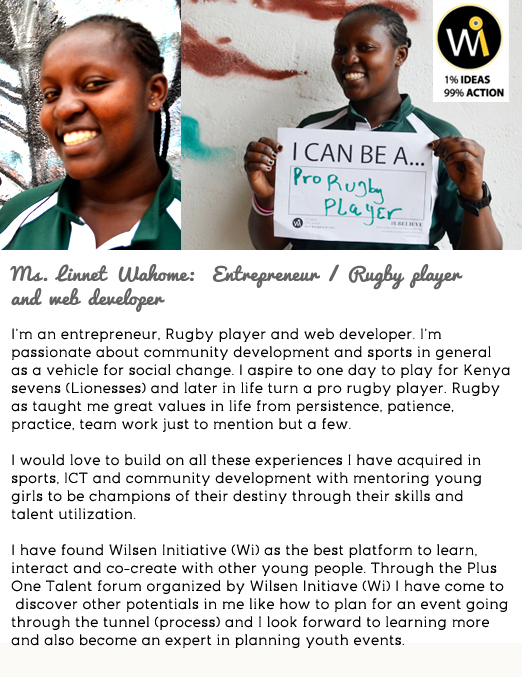 I’m blessed and honored to have connected with the right or rather perfect match for the idea and all of us share these values; #BuildingBridges #SharingSkills #ChangeMaking #MakingOfChampions #GivingBack #TheChampionInYoun #ValuesInsideOut #Talen&Skills #Empathy #Visionary #LifeLongLearning which are in line with the Wilsen Initiative (Wi) vision. 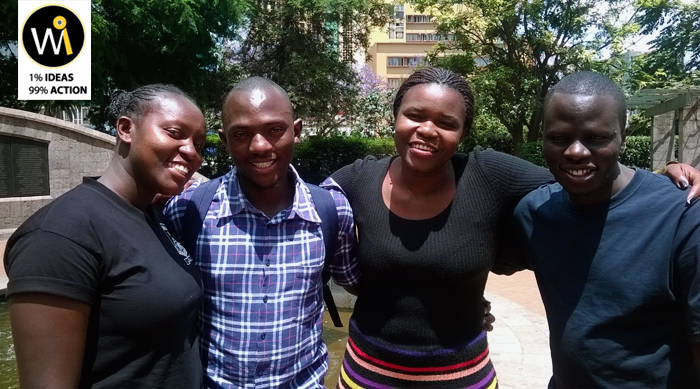 We are a team of young professionals, role models and change makers who inspire and aspire to educate our peers to use their talents and skills for positive social change. There are many people who are willing to join you in your cause just keep on sharing your vision, don’t worry nobody can steal your idea and if they do they can’t implement it with the same zeal like you do. Mr. Patrick Mukabi – Renowned international visual artists aka “Panye” is the Godfather of art in Kenya. His paintings are found in the main international airport in Kenya, JKIA; the ultimate coffee house in Nairobi, Java House; and private collections locally and internationally. We had a wonderful day; we hope and do believe that you were also inspired to take action after taking one step towards your idea. Here are some pictures, more will be uploaded soon… and if the pictures couldn’t speak then watch out for the video which will be out soon. Plus One Talent (POT) organizes training workshops, discussion forums, and inspirational talks for young people between 16 – 35 years, with a target to train on subjects that will enhance skills development and talent nurturing with an aim of raising awareness about promoting self discovery and cultures that seek to strive transformation of different realities. 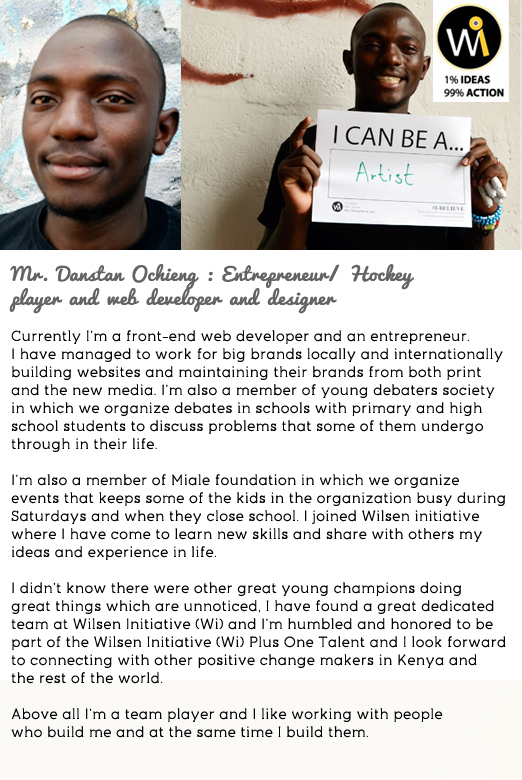 Connecting the young people with the extras (Plus One) that they need to grow their skills and especially their talents which are unique and needs to be tapped into and managed wisely by them to avoid exploitation by others. Creating a collaborative culture which encourages co-creations amongst young people. Striving for transformation of different realities/ stimulating positive change in the societies through young people’s talents and skills. 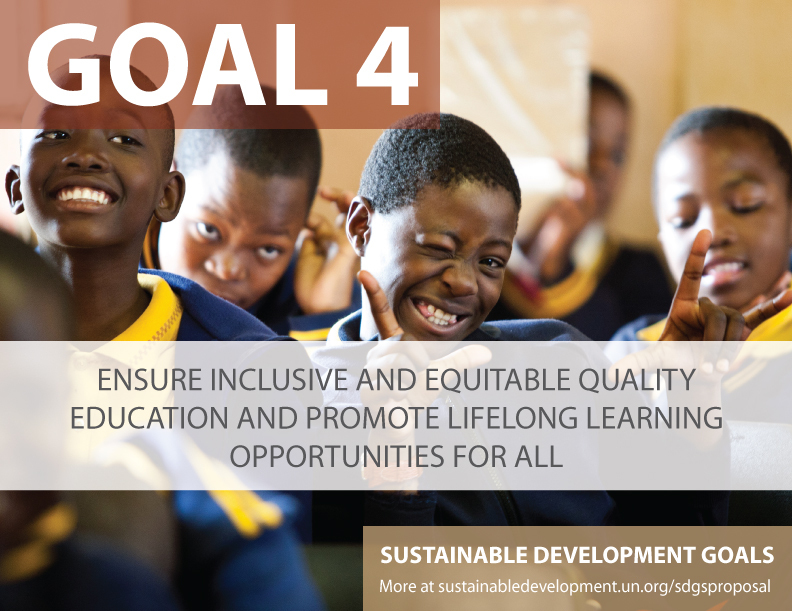 Creating a platform for creative and innovative ideas that promote equality and opportunity. Encouraging open dialogue, where youth and other positive social groups can connect.Concept: We take a more participatory approach that engages everyone as an individual or groups. Immediate goal: To triggers new patterns for lifelong learning. Participants: Maximum 50 who can work in groups of 10 or 5 depending with what the facilitator wants for achieve. Full profiles of the team coming soon! 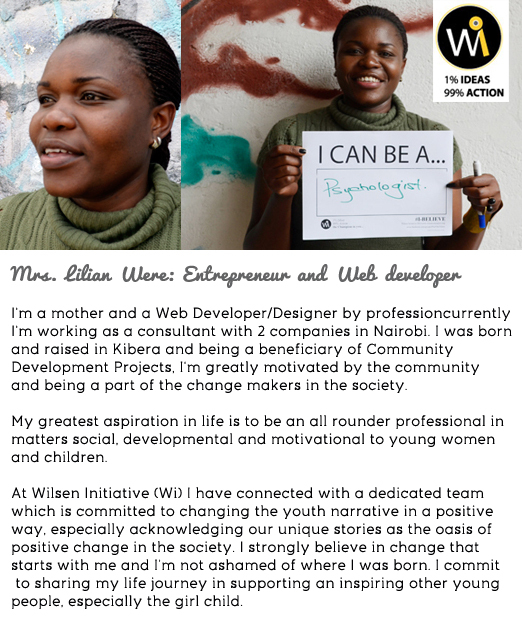 Mrs. Lilian Were: Entrepreneur and Web developer. 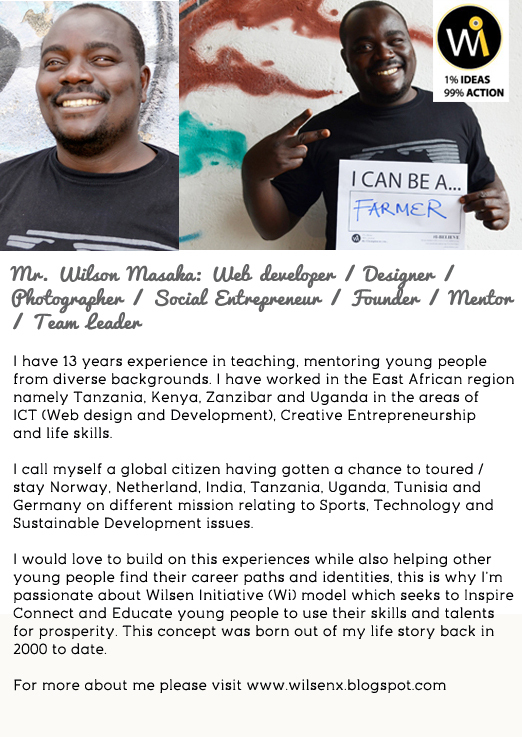 Mr. Wilson Masaka: Social Entrepreneur/ Photographer/ Football coach and web developer. 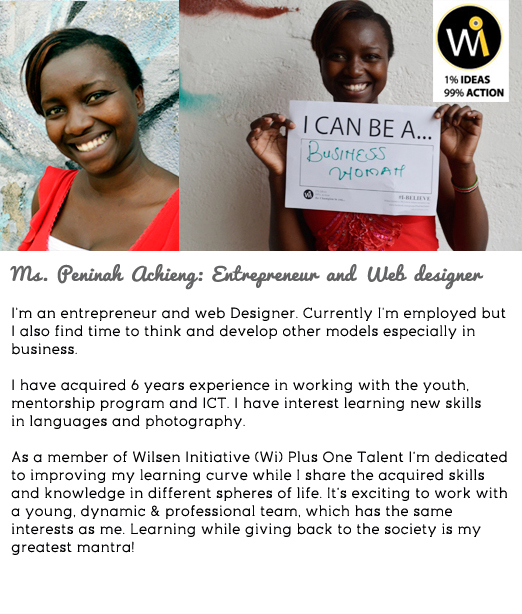 Ms. Peninah Achieng: Entrepreneur and Web designer. Doing more than one thing is our mantra as we continue to discover our potentials. We have come together to share and build these bridges for other people to learn and create a bigger network of knowledge economy, by the way most of the life lessons aren’t taught in school we learn through many platforms. You can’t miss to learn the 21st Century Employability skills in whatever career choice, this marks our call for Plus One in whatever you do! Our team is on a continuous mission to learn all the above!